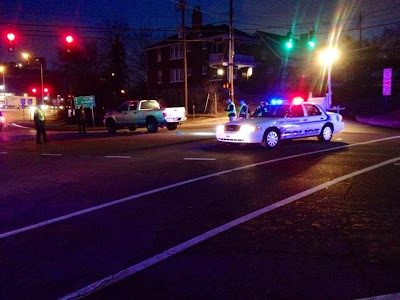 Police shut down Memorial Parkway this morning in Bellevue after a vehicle hit 19 year-old Theada Long in a crosswalk at the intersection of Memorial and Wilson Road, according to WCPO. The crash was first reported at about 5:30 a.m. Tuesday at the intersection just east 471. Police said the woman was taken to University of Cincinnati Medical Center. She is expected to survive, but is in critical condition. The victim is from Alexandria and was staying with family members in Fort Thomas according to police. Officers called for a crash reconstruction unit to come to the scene. Police expected the traffic to remain backed up for several hours as investigators inspected the scene. The driver involved in the crash gave a statement to police at the Bellevue police station. There is no word on potential charges. There are accidents happening too often at this intersection.